Last Saturday, 7th December, we had our display in the wooden chalet at the Christmas Market in St Albans. It was a real success and great fun. The weather was kind and we didn't get too cold. Our aims were to showcase the More Memories Project and make people aware of Sopwell and its history and environment and we certainly achieved these aims. Loads of people stopped to say hello and have a look at our banners, maps and photos. 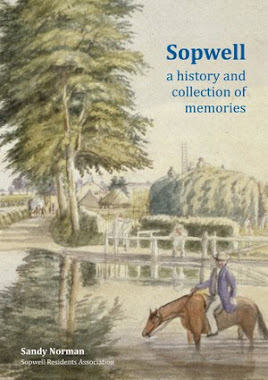 We met some really interesting people as well as old friends and we sold 16 copies of our book, Sopwell: a history and collection of memories! A big thank you to all who took part! We have acquired a digital copy of a wonderful estate plan of Sopwell dated 1666. 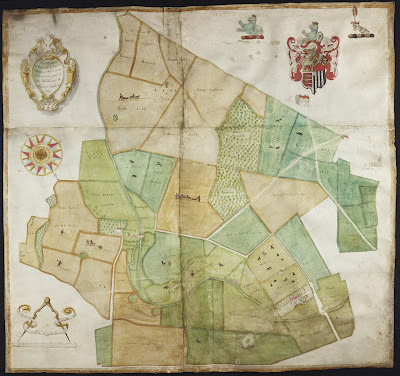 The original - which is massive - is in Hertfordshire Archives and Library Studies (HALS). I have had it printed and laminated and it was on display at the Christmas Market. I expect we will take it to other events next year, if you want to see it.